In this project students from 7th and 8th grade worked with the physical features and potentials of their schoolyard, in relation to the school reform that dictates that schools must open up and function both as a learning place for the students and a place where the whole community can gather. 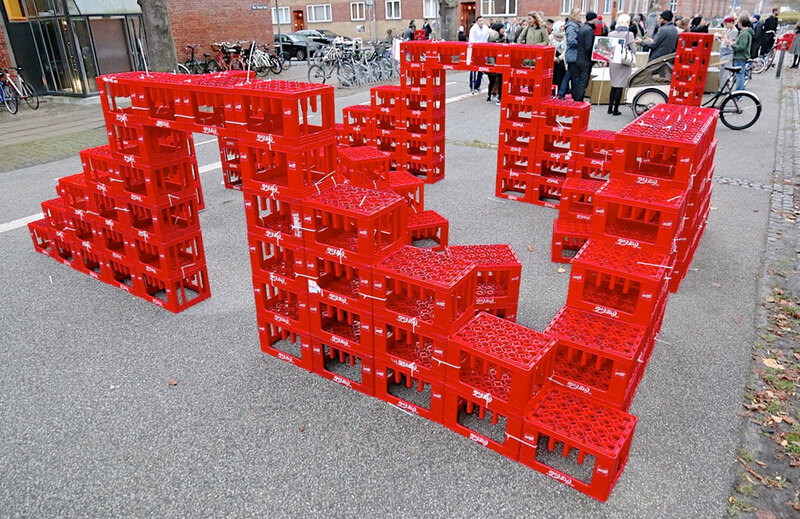 Main method in the project is 1:1 urban furniture prototyping with soda crates. 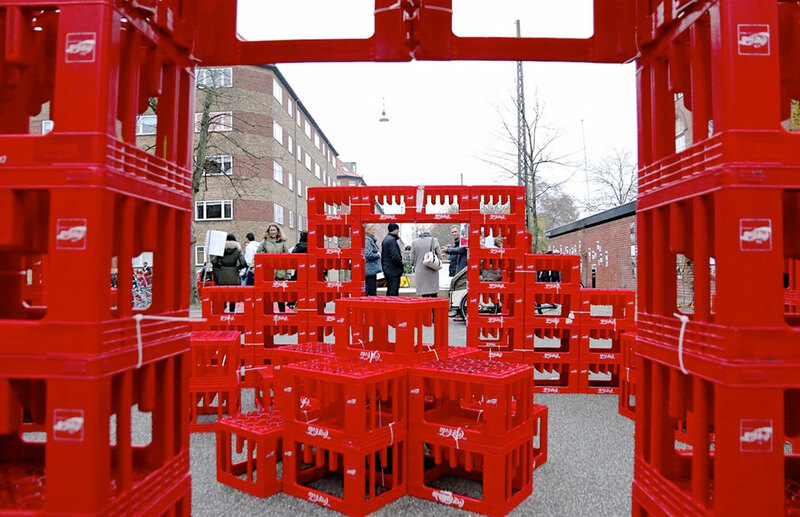 The use of soda crates enables the students to repeatedly build and test their ideas and to learn of site how the shape of furniture can change people’s use of the space. Our method in this project allows the students to experience the entire creative design process and enables their ideas to materialize in real, usable space. 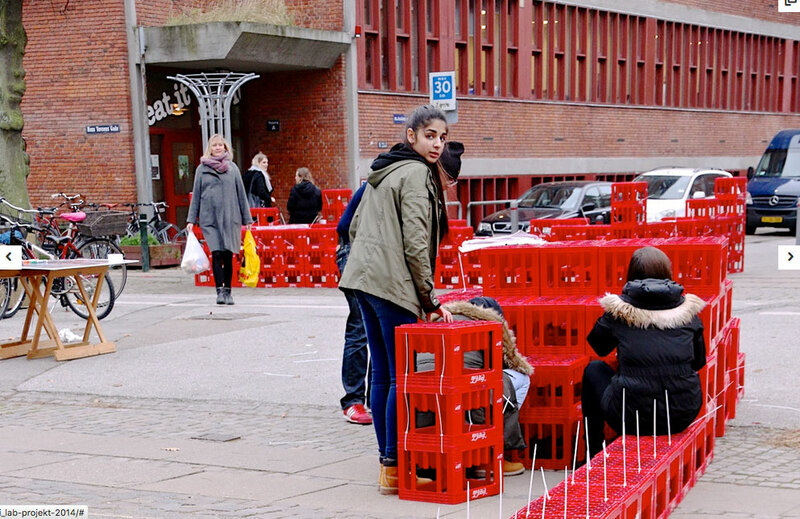 After having worked with a number of different ideas using soda crates, students were assigned to make collages of their visions for urban furniture, in order to visually make their proposals even more understandable and stronger. 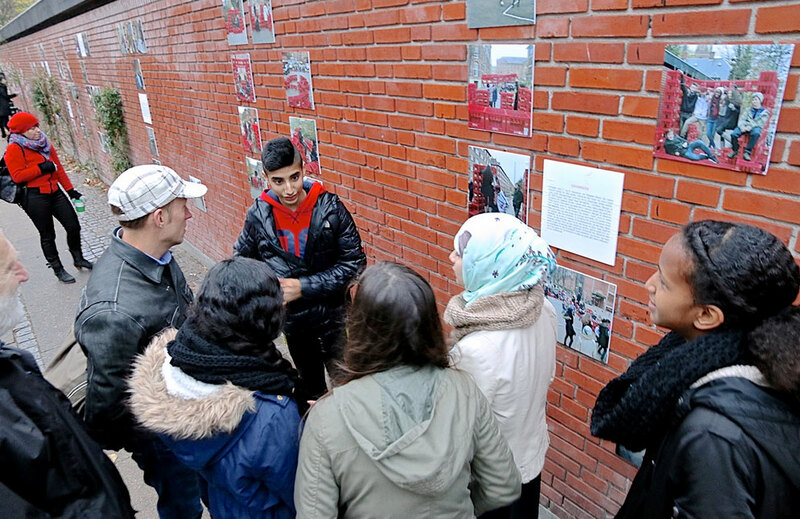 Working with collages, descriptions and presentations of students’ ideas for the site is a way to use common school subjects such as Danish language and Design & Arts in a new way. Students learn new ways of communicating their ideas in the workshop day by ending it with an oral presentation of their proposals in which they also get trained how to present and sell an idea. Therefore, the entire process is a way to incorporate new learning methods in schools. By working on-site and with 1: 1 scale, the students not only achieve ownership of their ideas, but also a sense of ownership of the space they work with while practicing the ability to participate competently and critically in society through an solution oriented experience. 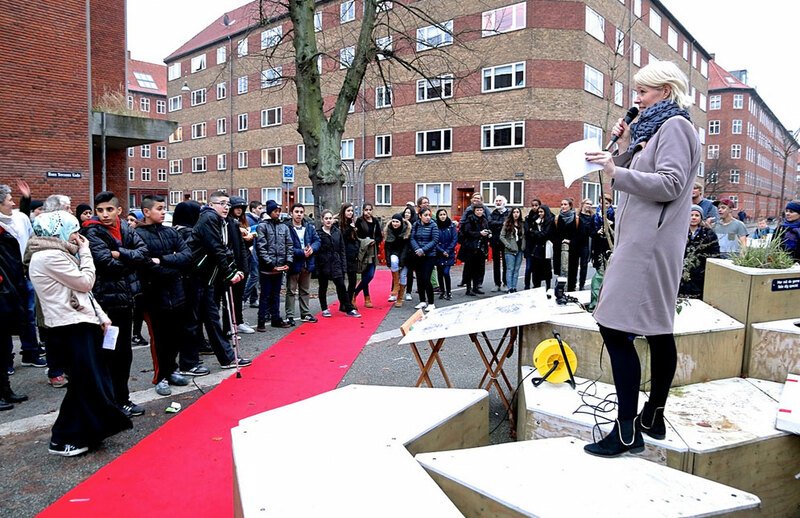 Moreover, students also gain a new perspective on the city, in particular to their local surroundings. 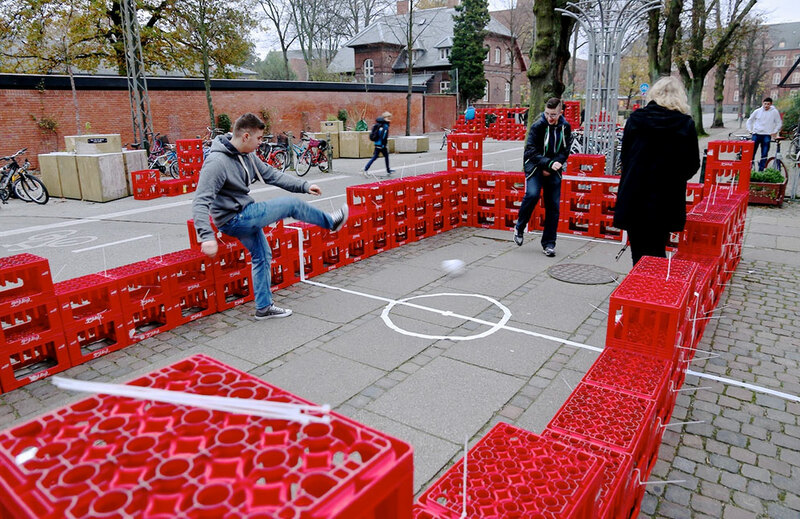 The aim is to develop critical attitude to the urban development and to ensure participation in the local environment. 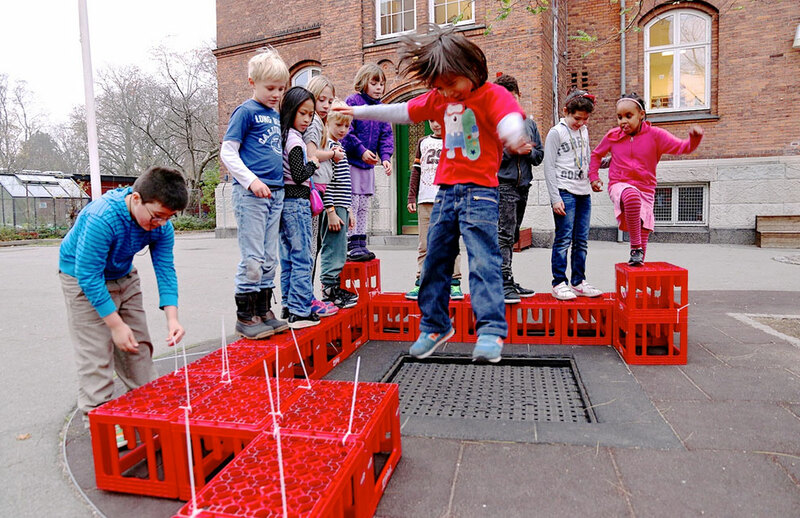 Thus, this interactive educational experience is also a way of motivating young people to become committed to the future of their urban environment as a driving force of urban citizenship and participation.